You should be able to keep your cdl with a pacemaker, as long as there are no other physical abnormalities. You will need a medical release form from your cardiologist and your most recent stress test done within the past two years. Intrastate only. Check with your local drivers license department. Most, not all, States have some level of state variance which should allow you to drive intra-state only. You could check with your local CME and ask him/her. Your medical card would indicate that you are an intra-state only driver. But you really want to confirm with your local cdl department for intra-state only driving with an ICD. I have had a ICD difibrillator since 2015 an have been driving local in California you think can I loose my CDL if the DMV find out. If you are intra-state only and it clears with your local drivers license department, then you should be fine. 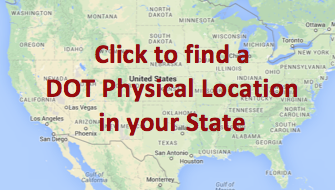 The ICD becomes a disqualifier if you try to pass the DOT examination and go interstate driving. 2016 new law says I can drive a cmv with a defibrillator if I don’t get shock in 6 mo. Appreciate your response. Can you cite the law that states this? I am researching this and want to have this in writing for my cardiologist. Thank you for your help. If you take a stress test and fail it can you still drive school bus? You want to check with your local drivers license department and see what the state variances are for this issue. Our focus is on federal requirements. Each state handles their own variances. I Got A CDL An Now I Got A ICD Am In Nashville,TN.Can I Drive Local Or A Dump Truck? You want to confirm what your status is within your state with your local drivers license department. Pacemakers are not an issue, but a defib unit would be an issue for a over the road interstate driver. You are going to drive a school bus, so you fall under the states variances. That means you should check with the local drivers license department to confirm your state’s requirements to drive school bus. Class A interstate will not allow you to drive with this implant in place. You might check with your local drivers license department and see what your state rules are regarding intra-state only CDL, you may be good to go from there. If you cannot drive in your state, then it looks like you will not be able to drive commercially. This is determined by your state so if you don’t think you got the right answer from someone there, the only thing you can do is double check by asking a different person, and maybe going to a different local department. Contact your local state drivers license department. You may be able to drive intrastate only. Only they can answer your question. Can’t help you here. You’ll need to contact TN drivers license department. I had an IDC implanted July 1 2015. Up to that point I was employed as a school bus driver in New York State. I haven’t been allowed to drive bus since then. Other than the IDC I’m in good health. Always passed yearly exams with no problems. Is there any chance the federal regulation will change? Pacemaker patients are judged on a case by case basis. Why can’t IDC patients be judged the same way? Check with your local drivers license department and see if you fall into the state variances category and not the federal category. If your doctor will complete a medical release form for you, then you can take that information to a NRCME registered examiner and he can answer your questions. The VA gave me a Pacemaker in 2011. Since then I have been Unable to drive Interstate I’ve driven Interstate for almost 30 years. This happened in The Middle Of The Crash. However, By The Time it was over? Laws Changed Now I am No Longer able to find work and I’m FLAT BUSTED. No one will Hire me. Not Even Walmart, And Arthritis is setting in. Social security says My Condition is Sever but Not Severe enough to receive Disability. I’ve Appealed 3 times. Now I’m Tired. I’m thinking my choices are limited. I either get a New identity and lie to get my old Career Back. Because of The Affordable Care Act. because their insurance Companies don’t want the risk. As Doctors What do you suggest I do. Living homeless in the street IS NOT AN OPTION. Because I’ve worked WAY TO HARD MY ENTIRE ADULT LIFE To die in the street because of a Damn Pacemaker. It also seems The People In The Social Security Administration Know Absolutely Nothing about The laws of The Federal Motor carrier Safety Administration. Nor do The People at The Veteran Administration. Both Think I’m Lying when I tell them that Federal Laws Prohibit Me from Driving Interstate, And No One Ever Checks. Oh, I forgot. I took A stress test at The Veterans Administration which basically state in a nut shell. I Can’t Lift more than 15 pounds, No Bending, or Pushing. But can stay upright walking, Some Stairs. Limited Sitting because of degenerative Spine. No Crawling, No Crouching, and a pain level between 6 and 10 according to their Instruments. I know I have pain. But I told them I didn’t. but their Electronic Instruments said I did. They Put Their findings on The stress Test Report and wont change it. Which wont help me Find Employment… At 54 What are my options? I have none at this point but to let the batters die… What do you suggest? Check with your local public services and see who is offering specialized training. You may not be fit to drive interstate, but maybe intra-state is a possibility. 54 seems pretty early in life to give up the ghost, and besides a pacemaker is not a disqualifying factor for DOT. Would having a heart murmur since i was born keep me from passing physical to get class a cdl? No, but the CME may want supporting information before moving forward on your medical certificate. My husband hat a heart attack in 2015. He passed his ett and was certified to return back to driving. He had his regular six month check up last week. His doctor wants him to have a necular stress test before his next six month check up. Will this necular stress test pass the guidelines to certify him for this year’s medical card? Yes, stress test every two years from this point on. A medical release form from the doctor also will be a huge help for the CME. You will need to check with your local drivers license department and see what, if any, restrictions you would need to have placed on your license. Most state only require that you drive intra-state only with a condition such as yours. on June 2 2016 i will be having a defibrillator installed, i drive a class b strait truck and deliver milk in wisconsin only will i lose my cdl? No, you just need to make sure that the examiner knows that you drive intra-state only and that you will fall under state variances, not federal guidelines. Intra-state should not be very difficult (that’s up to WA state); it would be much more difficult for the interstate driver. FMCSA should have some type of policy regarding your situation, but at present they do not. This situation is starting to surface more and more with the OTR drivers and maybe with enough complaints to the FMCSA they will develop a waiver for the OTR guys, hopefully. I have had a pace maker difibrillator since 2006 an have been driving intrastate.recently mead dmv.aware of my condition will i loose my cdl. As a intra-state only driver, you need to pass the states requirements. I don’t believe that you would be disqualified. But check with your state drivers license department to confirm or deny that information. I work for a utility company and I’ve recently had a pace maker and infibulator combo installed, I know I loose my CDL, but my question is can I still drive the regular company trucks, like F 250s? And track-hoes and backhoes? 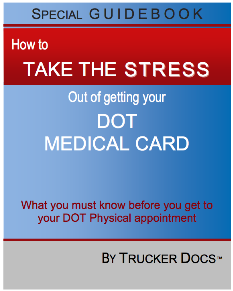 Check with your state drivers license department, but you should be able to qualify for a medical certificate to drive a pickup truck, just not for a cdl interstate.